All methods can be fished. Just find yourself a partner and you are guaranteed a chance to win a share in the largest prize ever in coarse fishing. 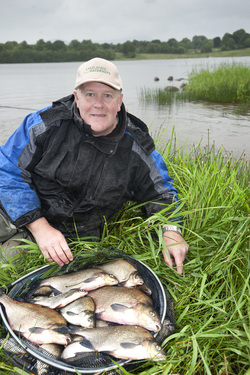 There is nothing more exciting than Pairs fishing and the match attracts anglers from the UK , Belgium, Australia, Germany and Holland and has created interest among clubs Worldwide. This is truly an international event! This year the match will take place in the counties Leitrim, Cavan & Fermanagh. Many venues are considered but we keep those selected close to our chest until nearer the time - giving you chance to check them out with some pre-match opens prior to the event.